An economical bristol weight board available in two surfaces. 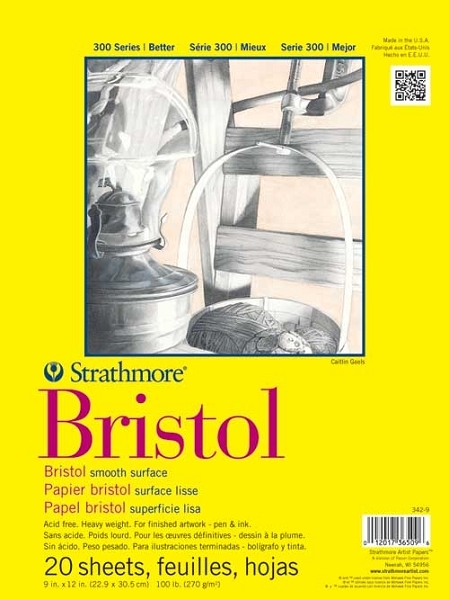 Smooth finish is excellent for mechanical drawing, pencil, pen and ink. Ideal for experimentation with airbrush. Vellum finish is excellent for any dry media including pencil, charcoal, and pastel. Acid Free. 100 lb. 16 points will be rewarded when you are logged in to your account and buy this item.